Snowshoeing: 8 Reasons You Should Try It! 8 Reasons You Should Try It! Snowshoeing = hiking + bigger boots. Woohoo!! What a great equation! Seems obvious to me now, but it took me awhile to put that outdoor equation together. I used to feel trapped inside the overheated, dry as a desert house during the long snowy winters in upper Michigan, when temperatures dipped below zero for days on end and the snowstorms just kept coming. And then one fine day, I borrowed a pair of old fashioned, hand made bear paw snowshoes. My world has never been the same since. So let me share with you why you should try snowshoeing, along with some of the best tips on how to get started as a snowshoer. This winter hiking sport is an amazing opportunity to see places you can't get to during non-winter months. Snow covers brush, rock piles, small trees, and other obstacles. All of that walking is a great opportunity to burn tons of calories, allowing you to eat a hearty breakfast, lunch, second lunch, snacks and dinner. After my most recent snowy adventure at Mt. Rainier, I consumed an entire plate of burritos, rice, and beans, washing it all down with chips and salsa, more chips and salsa.....I thought I'd never feel full again! This, from a woman who is hard pressed to finish one burrito. The bathroom scale never registered this little episode of overindulgence. So if I sound as if I'm advocating this winter sport as an excuse to enjoy good food, and plenty of it, I am! 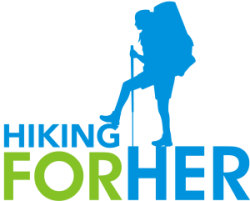 If you're considering hiking for weight loss, you can't go wrong with a little physical exertion in cold conditions. Being outdoors allows you to enjoy the tranquility and serenity of winter. If you're lucky enough to be able to get away from the noise of human activity, you can marvel at the crunch of snow that shuts off the instant you stand still. Silence! Let it surround you and soothe you. If you love to observe nature, winter is a marvelous time for you. Animals creep out of hiding places and go about their normal activity, because they don't even notice you as you blend into their surroundings. And the winter sunlight is so fragile, so welcome, that you see trees and rocks and streams with fresh, appreciative eyes. Fresh snow also makes animal tracking much easier. And hungry birds become instant friends when you stop to snack. Snowshoeing is one of the few sports that has no learning curve. You know how to walk, so you know how to walk in snowshoes. The first few minutes might be a bit awkward, but after you hit your stride you'll be whizzing along humming a snowshoeing tune! You can take up this sport by either renting a pair of snowshoes for the first few times, or buying a pair at your favorite gear store like REI. Read about the brands I recommend here. Or read my review of my new MSR Revo Ascents. As for the physical effort required, it's true that it takes more work. Your winter hiking boots are going to weigh more. Plus, you can't get as far on snow as you can on a dirt trail. You'll be working hard for less mileage. You will also be using different muscles, or perhaps I should say you'll use the same old hiking muscles in different ways. Be prepared for some soreness! And if you're the first person, or the only person (lucky you!! ), to go in that direction, you'll need to break trail. That's when you work up a good sweat, all for a good cause. Take turns with your hiking partners! This unique, low tech sport requires very little in the way of gear, but you will need to put some thought and experimentation into that gear. In wintertime, you have less margin for error. My most cherished possession for winter snowshoeing outings isn't my carefully selected pair of snowshoes, it's my boots! My waterproof, insulated, clunky, absolutely not stylish, but uber-functional boots! 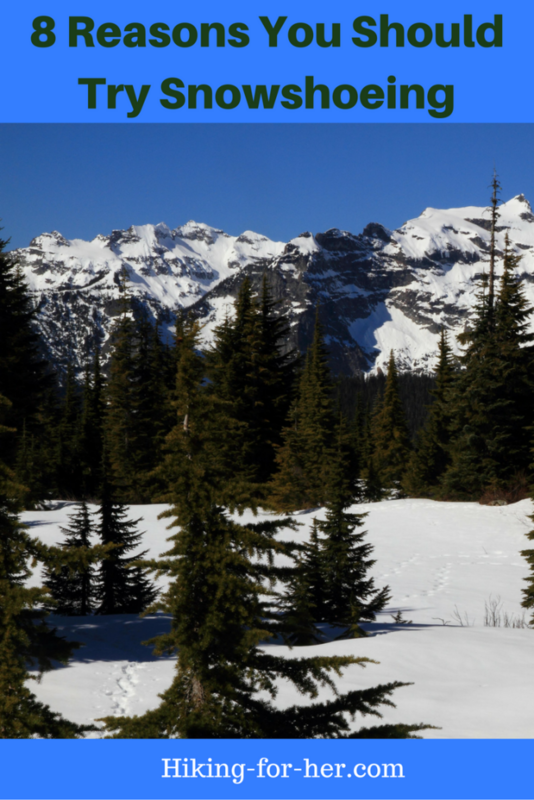 Snowshoeing has gained in popularity lately, at least in the United States. That means there are lots of brands of snowshoes to choose from. Try to be realistic about your commitment to this winter sport, and don't over or underspend for features that won't benefit you. 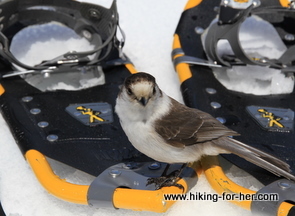 To get prepared for your adventure on snowshoes, read up on some great advice right here. It brings a sense of peace not always achieved during hiking adventures in other seasons. And it gives a sense of freedom, too. You can explore, wander, backtrack (literally! ), stop, stare, lick tree icicles, or ponder what that rabbit was doing as it laid down its tracks. 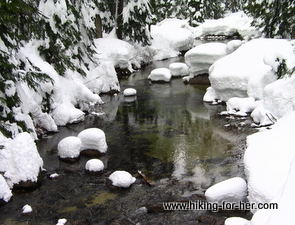 Fluffy white pillows on river rocks make snowshoeing a peaceful experience. But winter hiking also brings responsibility for your safety. Be smart about where & how you snowshoe. Stay on marked routes until you're ready with a strong skill set to explore on your own. Be prepared mentally and physically for the winter season risks, which may be quite extreme when the weather decides to exert its authority over you as a mere mortal. Strapping on snowshoes to explore a wintery scene is an absolutely amazing experience, regardless of where in the world your snow falls. These tips will help you make the most of your winter outdoor time. You can also download this free pdf "What To Expect" of tips I hand out to folks who take my snowshoe classes.